I really enjoyed the prequel novella and first book in this series, so I was excited about reading this one too. Deacon Chalk kills monsters. He's been doing it for a while. 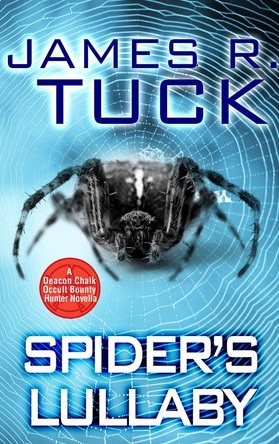 So when a night out with two of his friends turns into a search and rescue, he'll do anything he has to in order to find out who took Charlotte's unhatched baby spiders. And it becomes a race against the clock, which takes them through the underworld of assassins and leads to a very dangerous demon.